We seek to serve abused and neglected children, the hungry, the hurting and the broken. 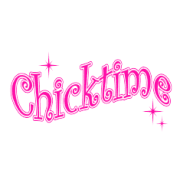 Chicktime Dayton is designed to promote service opportunities in areas in and around Dayton so that passionate people might be connected to those opportunities that already exist to serve those in need, to set up groups in their areas, pursue their passions, serve others, connect with local charities, & accomplish the phenomenal. Questions? Contact Morgan @419-610-789 or dayton@chicktime.com today!